For a limited period or until stocks last prices have been reduced. Tags: Pallet Topper, pallet cone, stack stop, double stacking. Transporting palletised loads from one destination to another by road haulier can sometimes be a hazardous business. Once collected from your warehouse, your consignment is likely to be off loaded at a number of depots before reaching its final destination. 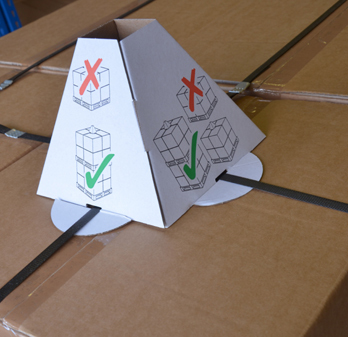 A clear warning sign is whats required, to prevent another pallet from being stacked on top of your load during its travels.With this in mind Pallet Topper, a pyramid shaped warning sign is designed to sit on top of a pallet highlighting the fact that other pallets must not be stacked on your consignment. The clever design of the Pallet Topper enables it to be firmly secured to the pallet strapping either during or after it has been strapped. Where a pallet is covered in clear stretch wrap, Pallet Topper can be wrapped inside the film but still remains highly visible. 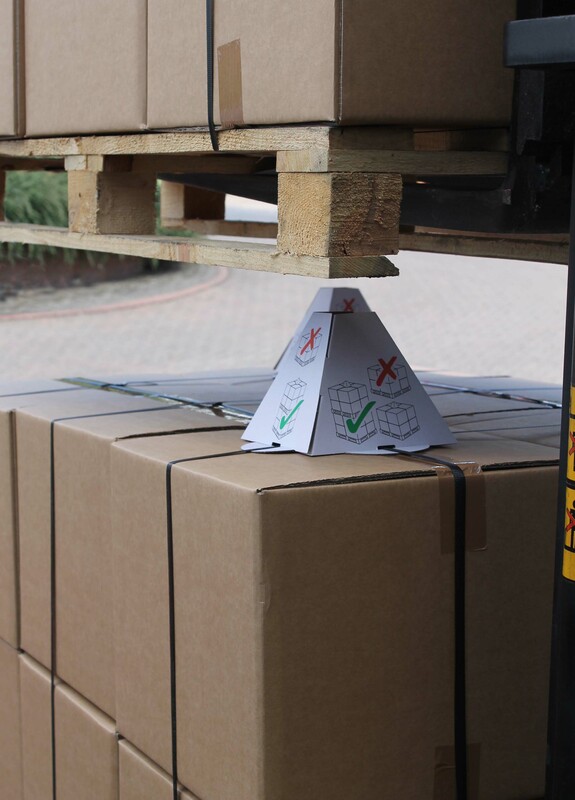 The Pallet Topper is printed with both clear and easily understandable red and green graphic illustrations, but with no text, meaning regardless of your consignments destinations all nationalities will easily understand the warning message portrayed. Pallet topper provides a cost effective solution to what could be a very costly problem. Manufacture from pre-creased cardboard, which is easily folded and slotted together. 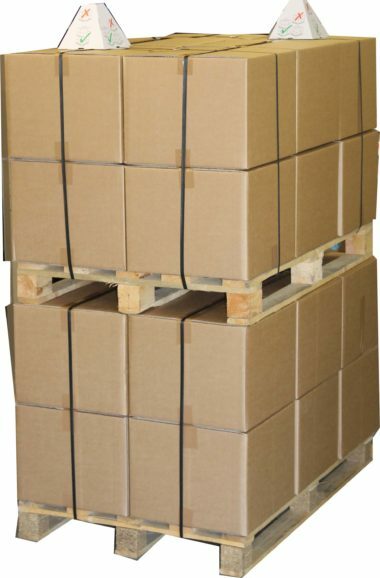 Pallet Topper is 170x170x150mm high and is supplied in packs of 100 pieces.